Sending cookies to say "Thanks" can help grow your business and build good-will for your corporation. Better Cookies.ca has a wide range of corporate gifts to help promote your company and to thank customers and employees. To place an order or to discuss ordering options, please call us at 416-477-1401 to find out how we can help. 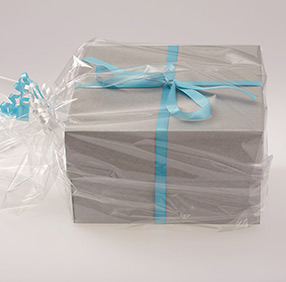 Our corporate gifts are available to be delivered across Canada. 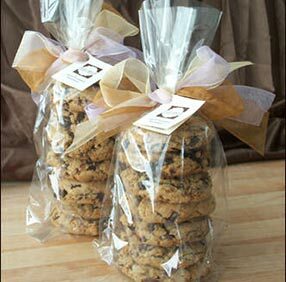 We ship the individually wrapped cookie packages and gift boxes anywhere in Canada. Gift baskets, cookie grams and cookie jars are available to be delivered locally. We include a free inscription card to add your business logo or custom picture to make the gift unique. You can also include a custom message or other add-on with the cookie gift. Here is an example corporate gift card where we can include your business logo and a message to personalize your gift. Each iCare gift is hand-crafted with care and baked fresh. Please send us an e-mail or call us with your corporate gift needs and we will be happy to help make your gifts awesome. 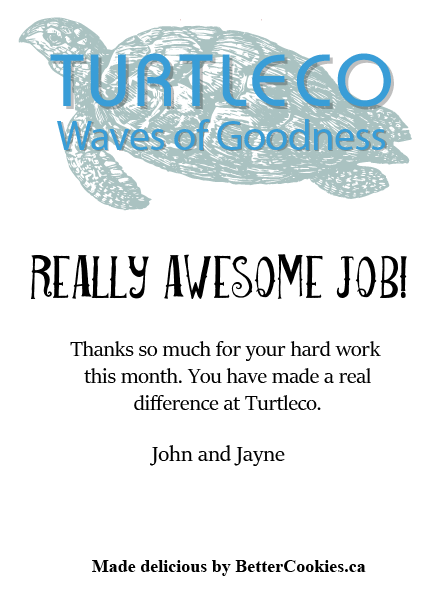 We create gifts that are great for business meetings and saying thank-you.